Courtesy of Willow Realty, Kelley Babcock. 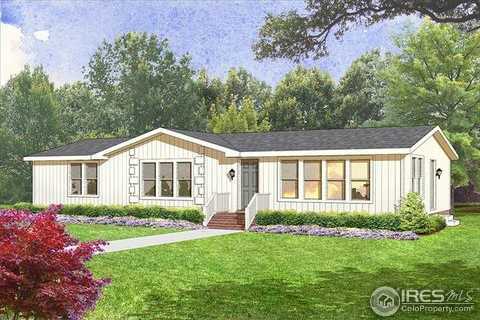 Country living in a brand new IRC modular home on over 3 acres. Large Master bedroom, Knotty Alder pine cabinets. Home has crawl space foundation. Detached Garage which can have horse stall. Bring your toys and animals as there is plenty of room for them all. Driving directions: I 76 to Wiggins exit. South on Hwy 52 to Road F. East on Road F to East Ranch Rd. Please, send me more information on this property: MLS# 809134 – $299,000 – 44 S Ranch Rd, Wiggins, CO 80654. I would like to schedule a showing appointment for this property: MLS# 809134 – $299,000 – 44 S Ranch Rd, Wiggins, CO 80654.